Insulation is a great, affordable way to keep the condition of the air in your space clean and under control. In old properties, and this is especially true for humid Marietta properties, dangerous bacteria can accumulate and cause severe illnesses and sometimes death, making proper insulation that much more important. Make sure that your insulation is up to date by hiring a screened and approved insulation contractor and contact the team of professionals at Action Brothers Insulation. In a humid climate, refreshing the insulation in your Marietta home can make a big difference. Not all insulation requires a complete haul. With fiber or wool insulation, its common that only the bottom layers will need removal. Some of these old layers can contain mildew, mold, and other damages. In these cases, a trained eye is imperative to ensure every piece of unusable insulation is disposed of carefully. Hire Marietta’s experienced insulation contractors at Action Brother Insulation to enjoy a space that is refreshed and safe. Asbestos insulation was commonly used to control the temperature in older properties in Marietta. Asbestos insulation is especially dangerous because it can lead to severe breathing issues and sometimes cancer. Unfortunately, the United States has yet to outlaw asbestos insulation so it’s imperative to take your health into your own hands and hire someone to conduct an inspection of your insulation. To keep you and your loved ones safe from these risks, hiring a trained professional to inspect the situation is best plan of action. 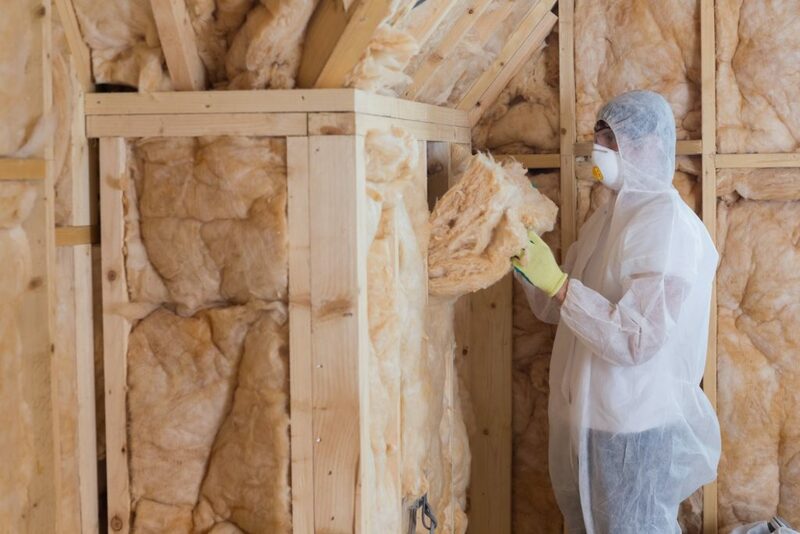 After 18 years of serving the Marietta community, Action Brothers Insulation is prepared to safely inspect your insulation without risking yours or the health of others. One of the most important steps in insulation removal is keeping the dust particles of old insulation at a minimum. A specialized vacuum with an added filtration system is required when tackling a removal project. This special equipment will carry the old insulation directly from its install to a sealed trash container located outside the property and pick up any loose insulation that may slide under the radar. At Action Brothers Insulation, we use top of the line Owens Corning products that are proven to get the job done with the least amount of debris possible.